Photo of Taal Lake and Taal Volcano, taken 1939. Image source: United States National Archives. 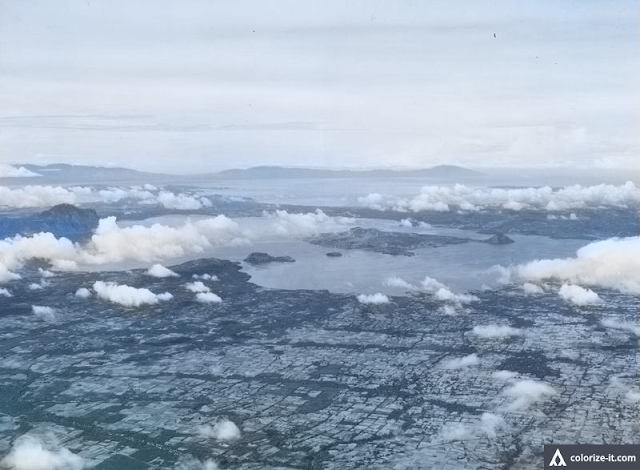 Photo of the Taal Volcano main island crater taken in 1939. Image source: United States National Archives. 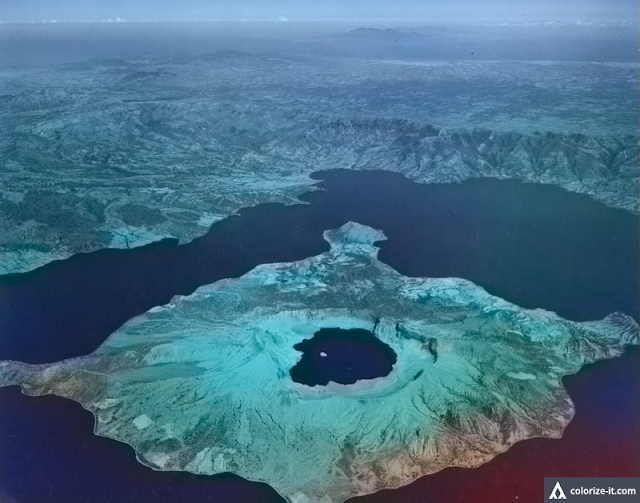 Both photographs were downloaded from the United States National Archives and colorized courtesy of Algorithmia.